Nikki records and performs in Nashville and has showed people that a Jersey Girl can rock the country music scene as good as any southern bell. She performs and tours various states such as New Jersey, New York, Florida, Tennessee, Virginia, West Virginia, Maryland, Delaware, Illinois, Pennsylvania, the Carolinas, Connecticut and Massachusetts. Briar has performed with southern rockers BlackBerry Smoke and Chris Janson at the Starland Ballroom in Sayerville, NJ. In 2015, she was a featured artist at the TASTE OF COUNTRY music festival in Hunter, NY. There she had the chance to perform on the same stage as Tim McGraw and Billy Currington. Also, she has performed with national and international acts such as LoCash, Parmalee, Chase Bryant, Cassadee Pope, Blackjack Billy, Outshyne, Granger Smith, Rodney Atkins, the Outlaws, Steven Lee Olson, Meghan Linsey, Old Southern Moonshine Revival and Big Country. 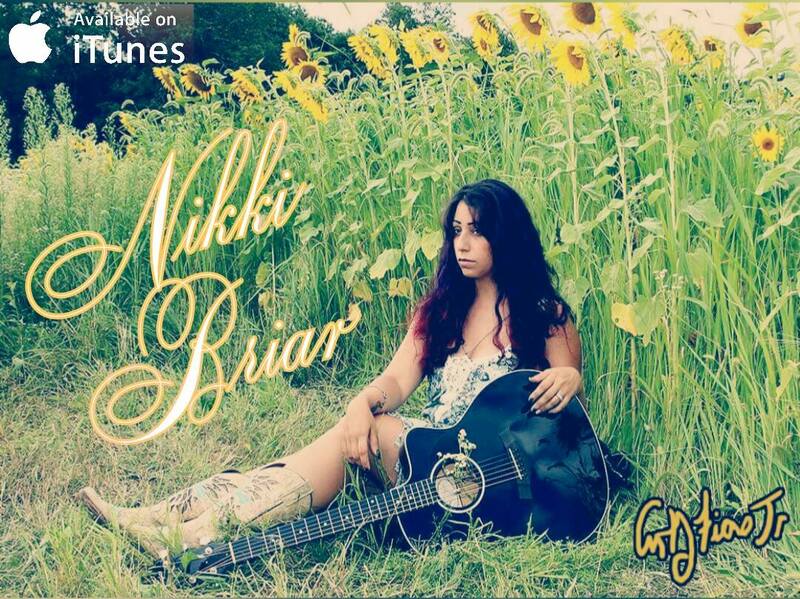 To date, Nikki Briar has released over 20 original songs going back to 2011 with her album, “A Soldier’s Princess”. Her latest single After The New Wears Off took it to whole new level of quality country music. She is set to release an additional three more singles by the new year. Her latest music video for After The New Wears Off was featured on Vevo’s country music videos. Also, her song has been streaming and requested through national and international radio stations. Aside from the impressive amount of performers Briar has worked with and the growth of her popularity in a short period of time, she is a proud army wife who sings the national anthem professionally for various military and charity events, including the annual NYC and Atlantic City marathons. In 2012, she formed her own band called the SweetBriar Band that became a professional and well-established band. Nikki Briar and The SweetBriar Band enjoy rockin’ out at various venues from casinos and music festivals to line dancing events and rodeos to concerts. What makes Briar unique from other artists is that she instructs line dancing at all her shows, so whether you are a beginner or an advanced dancer, be prepared to get up and move! In 2013, Briar’s popular radio single COUNTRY THANG reached country music indie charts and has since been nominated for various awards, including SONG OF THE YEAR, ALBUM OF THE YEAR, and ARTIST OF THE YEAR. She now has an official line dance going viral on YouTube choreographed by the talented Matt Thomson of Monteray Ent. DANCIN IN THE HEADLIGHTS includes 9 songs, 2 of which Briar wrote, is colorful and rockin from one song to the next! “Unknown Soldier” and “Jersey Girl” which Briar wrote along with Nashville songwriter, Mike Kuhl, depict the realness of Briar and her life experiences as a military wife, a patriot, and a proud Garden State Cowgirl! Nikki Briar’s first country album, “A Soldier’s Princess”, clearly represents the heart of patriotism and the definition of country music. Each song is lyrically captivating and instrumentally unique. Briar’s voice will leave you breathless. Due to the devastation of Hurricane Sandy, Nikki devoted her time and talent in developing a touring hurricane benefit concert series called “Rock Those Jersey Blues Away,” which to date has raised over $10,000 for various organizations helping people, animals, and businesses in need all over the Garden State and continues to date. 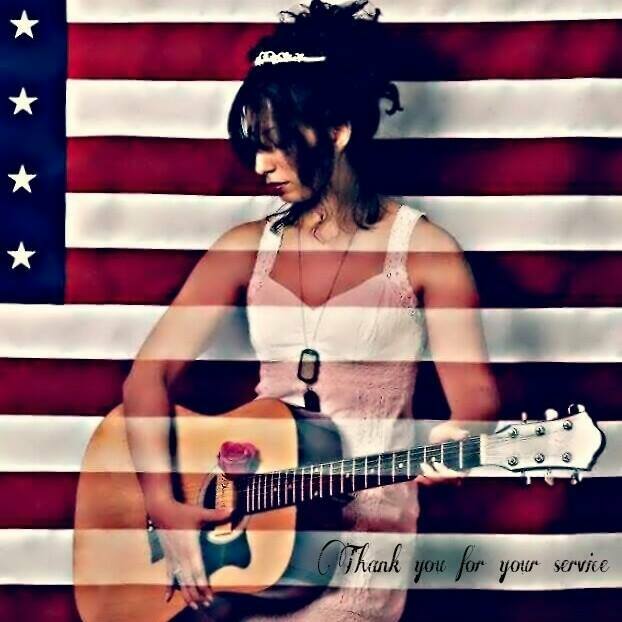 As a proud Army wife, Briar works with various organizations where proceeds of her songs are donated to military charities and other groups such as the US War Dog Association. Nikki Briar, born Nicole Signorella on May 23rd has truly been passionately involved with music her entire life. Her father, Joseph, made his living as a touring drummer for a Motown band called the Victorians, while mother Oksana, was a classically trained pianist and artist. From a very young age, Briar was influenced and connected best with artists such as Frank Sinatra and Whitney Houston. Her parents say that the way she learned to speak was by memorizing and singing along to her favorite songs on her record player. A young Briar took part in every performing event that she could, singing in the choir and becoming the first female drummer in her middle school. In sixth grade, she started learning to play the guitar from her uncle, Anthony Signorella. Briar went to Arthur L. Johnson for her regular high school experience in Clark, NJ. She also attended the Gifted and Talented program at a votech school where she participating in the highly praised musical theater department. She then went on to graduate from Seton Hall University with a degree in Special and Elementary Education, minoring in Music for voice and guitar. Since graduating, Nikki Briar has been teaching music to young children at the New Jersey Workshop of the Arts and currently attends Graduate School of Seton Hall University. She sings at events for the New Jersey National Guard and is a proud Army wife. Nikki Briar currently resides in New Jersey with husband Angelo Martinez who is her inspiration and number one fan.